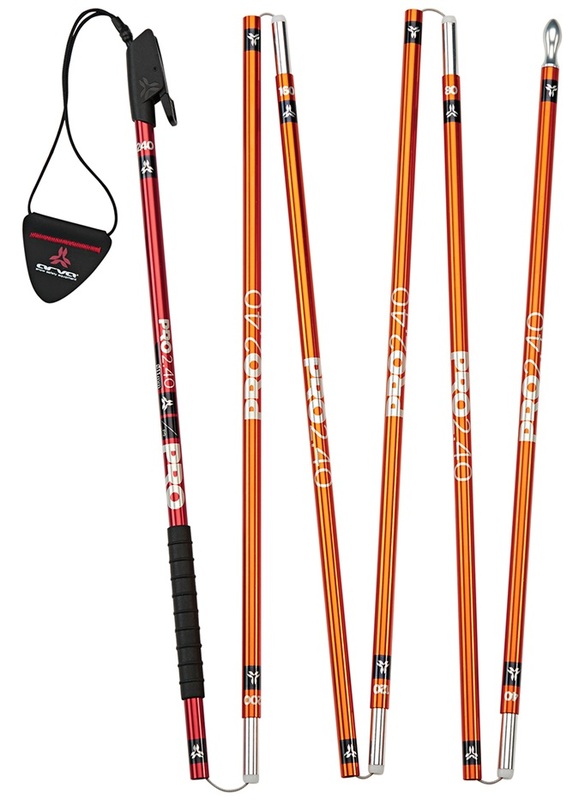 Avy professionals and International Ski Mountaineering Federation officials don't recommend using a probe shorter than 240 centimeters (94.5 inches). 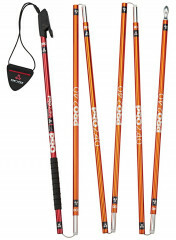 In fact, we don't even sell shorter probes, as there are easier ways to tell your ski partners you don't like them. If you're looking to send the opposite message, however, consider carrying a well-worn ARVA Pro 240. 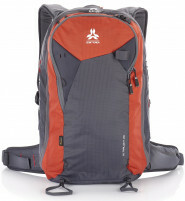 Made of 7075 aluminum and a durable metal cable, the Pro features an autolocking mechanism so you can deploy in a hurry. Your partners will certainly appreciate the thought. 11mm diameter aluminum 7075 and a metal cable provide excellent strength at a modest weight of 230 grams (8.1 ounces). Markings every 5 centimeters (2 inches) give an accurate depth reading. Update 2017/18: Arva redid the locking mechanism as a plastic clicker that still autolocks and is easy to release. Also they changed the external cord to steel cable and reduced the marking frequency to every 40cm. Weight barely budged. Bottom Line Serious probe for serious safety.